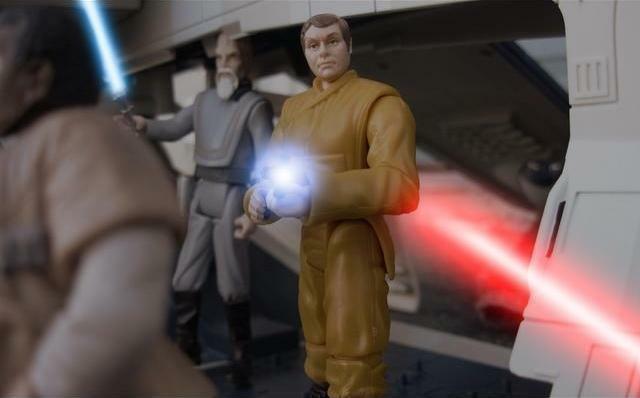 Via hologram, word had reached Coruscant of Obi-Wan’s discoveries of the Clone Army on Kamino, the Separatists’ war, and the fact that he had been captured. 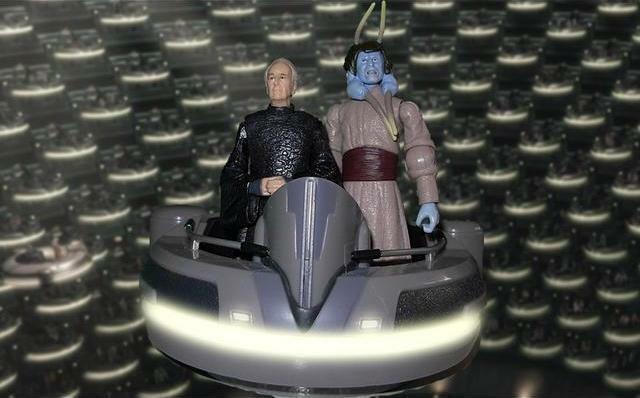 And so, the Galactic Senate had voted to give the Supreme Chancellor emergency powers to use the Clone Army against the Separatists. 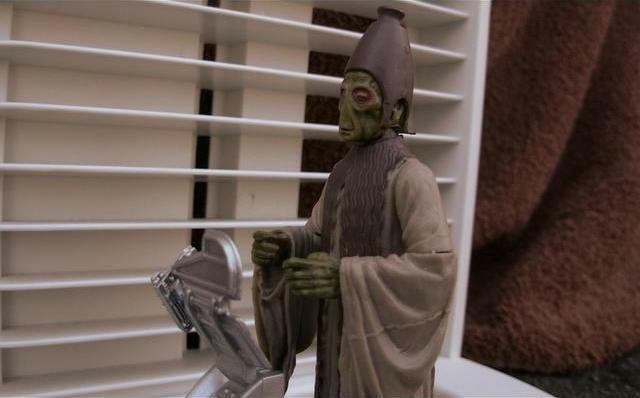 Simultaneously, Tarisian Drewton recieved a message from Wilhuff Tarkin. 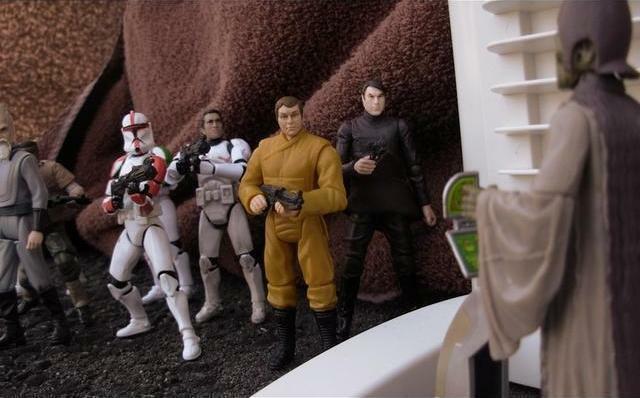 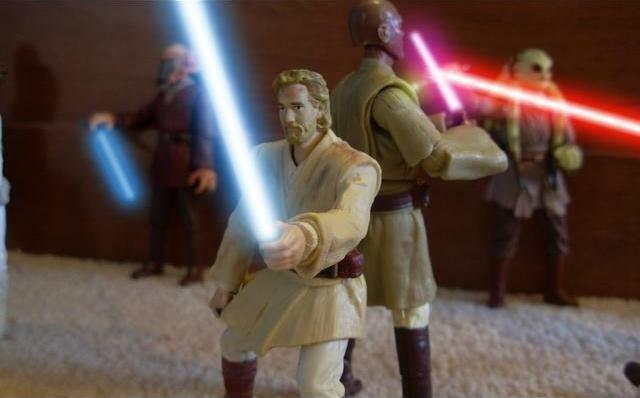 …a war was being fought, starting when the Jedi Knights decided to make a rescue attempt of Obi-Wan Kenobi before waiting for the Clone Army. 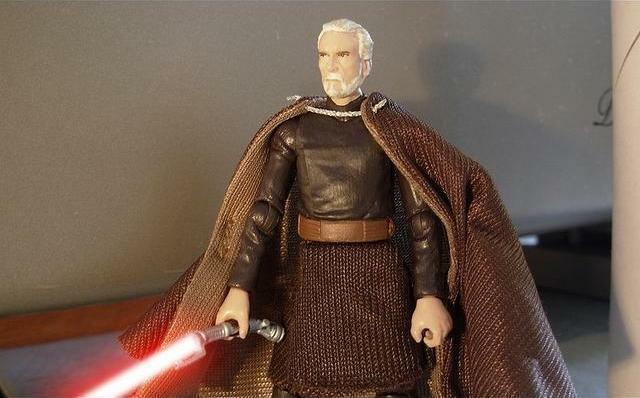 Count Dooku watched, amused. 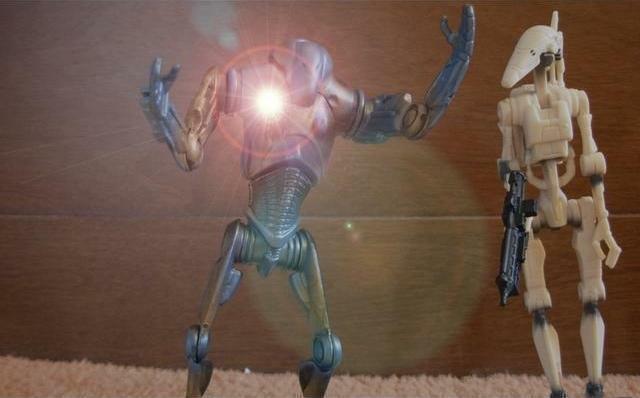 In a few minutes he would unleash the full Separatist Droid Army upon them. 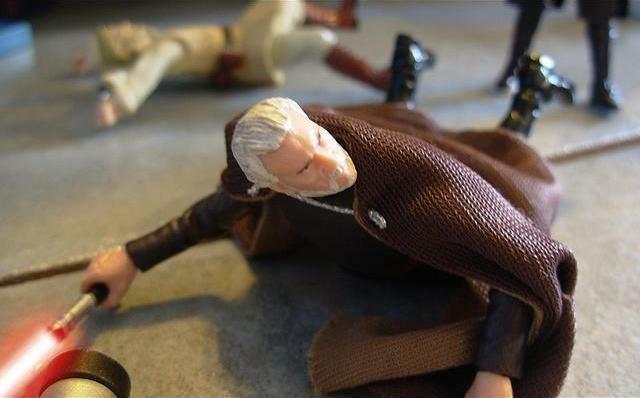 Kenobi, meanwhile, fought for his life, along with all the other Jedi. 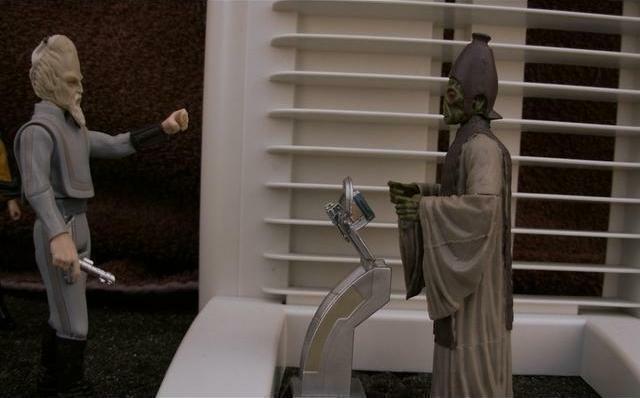 It was a much harsher battle than even Naboo. 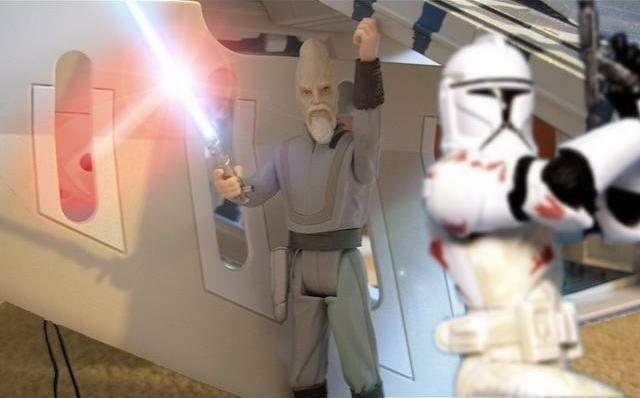 This time, it was not an option to run away from Destroyer Droids. 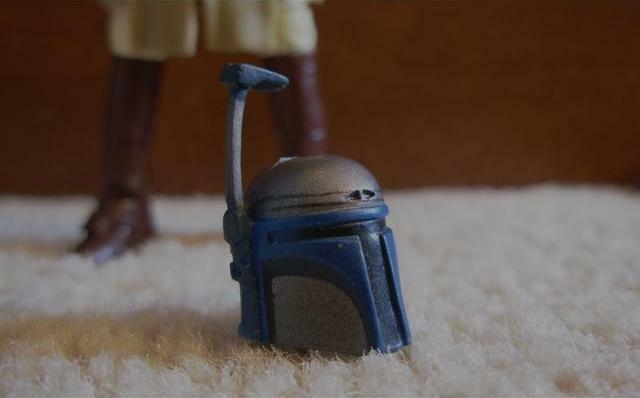 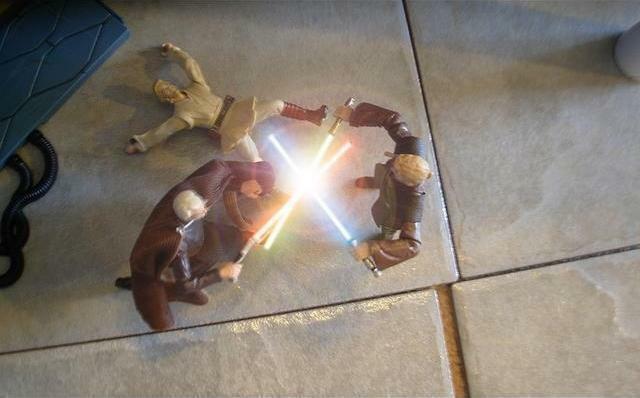 …but even he was no match for the powerful Master Windu. 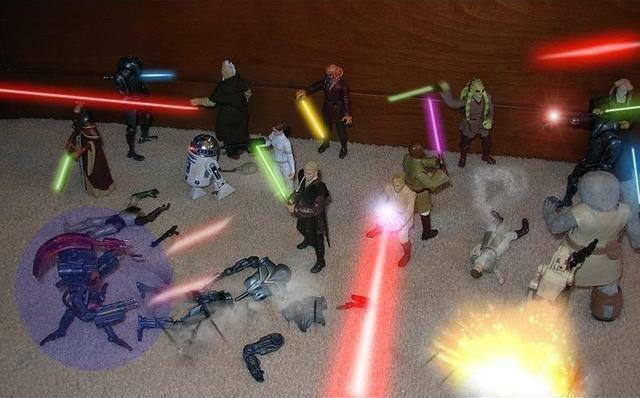 The Jedi, though, were soon easily outnumbered and many were defeated. 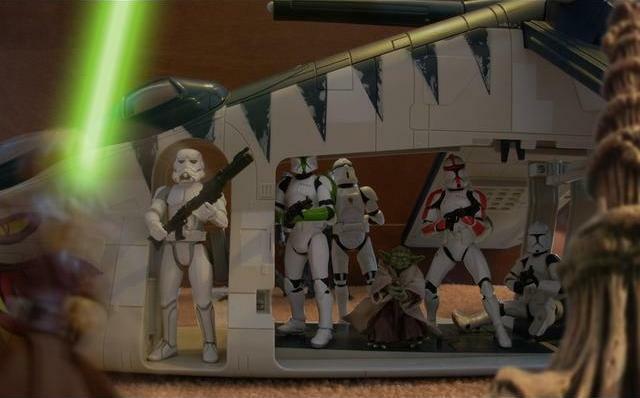 However, from the sky suddenly came several Republic Gunships of the Republic. 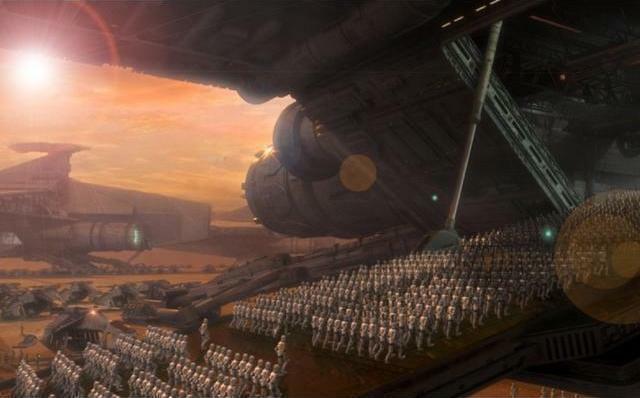 Landing in the arena, most of the Gunships were carrying the Clone Army discovered on Kamino. 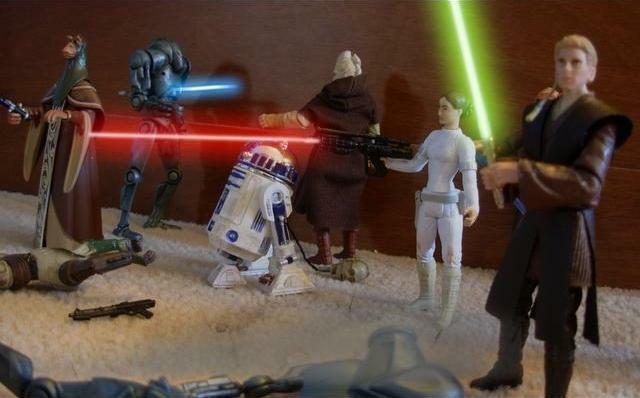 The Jedi retreated into the ships, deflecting blaster fire as they went, with the clones defending them. 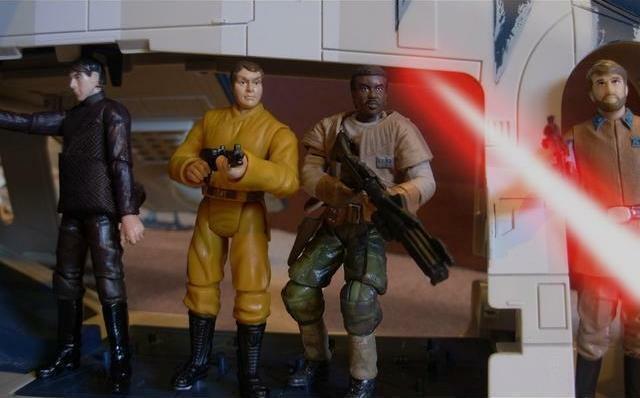 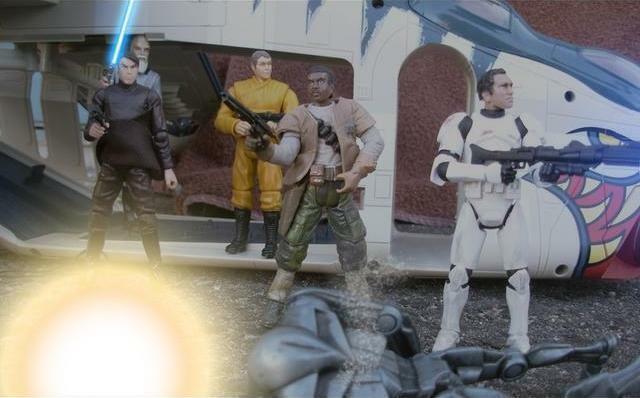 Far away but still in the same arena, the Peace Keepers arrived on the Gunship Purveyor. 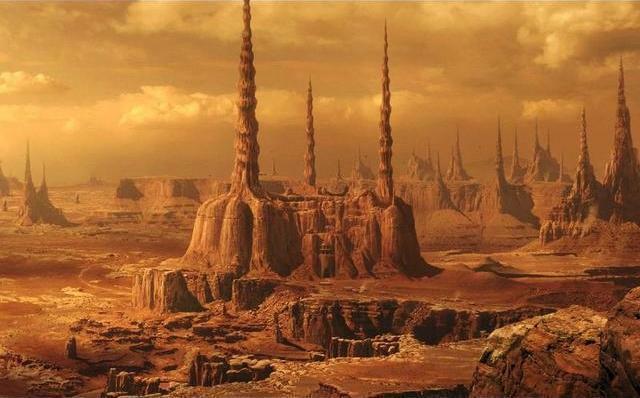 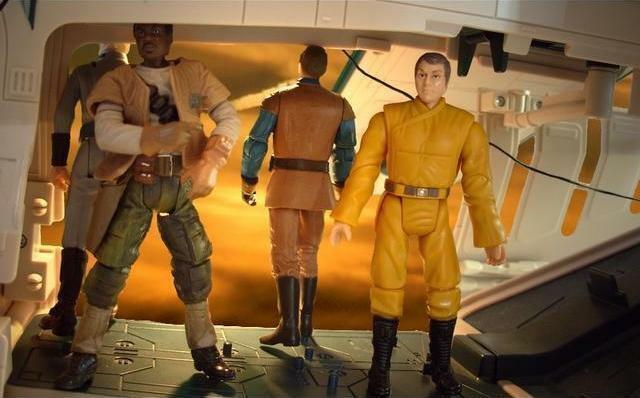 “There are places worse than Dantooine, Raymus,” Tarisian answered. 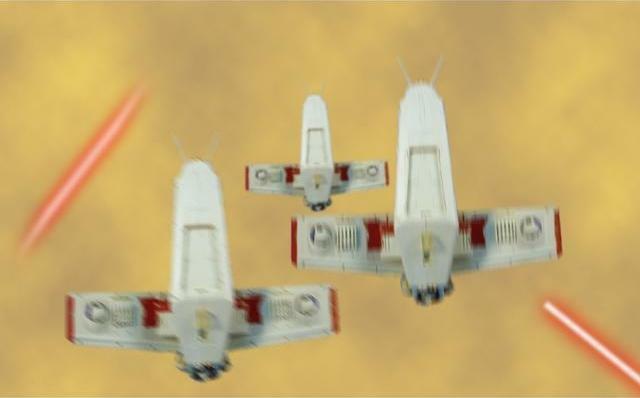 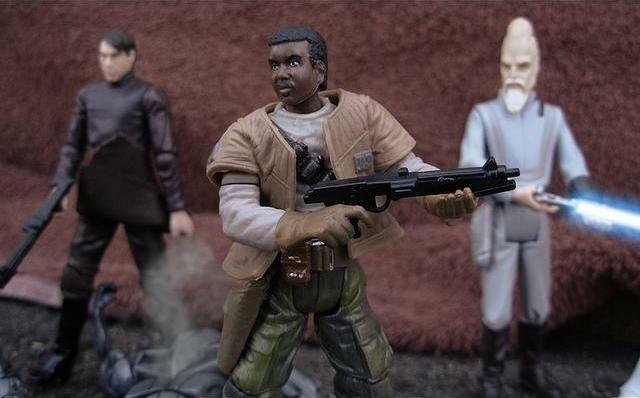 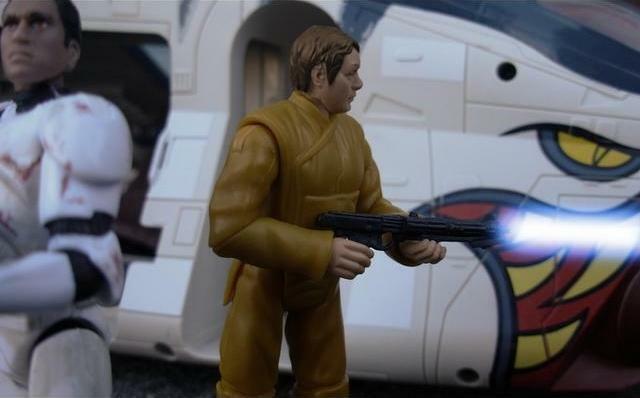 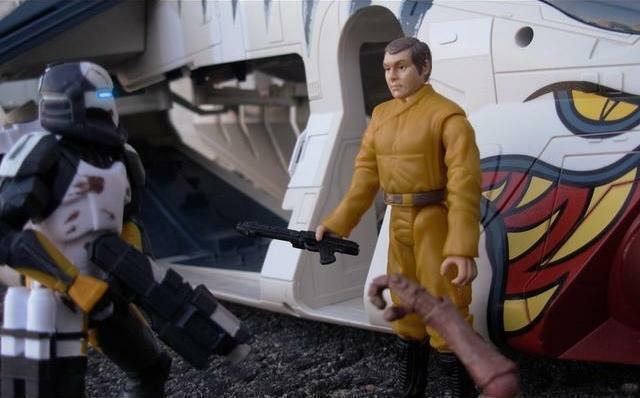 Near the wings of Purveyor, Idnum-Ki defended himself from blaster fire while trying to get into the gunship. 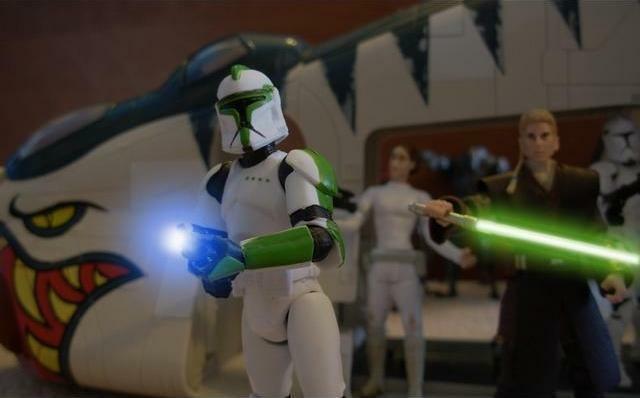 “Good to see a familiar face that’s not just another clone,” said Raymus when the Jedi boarded. 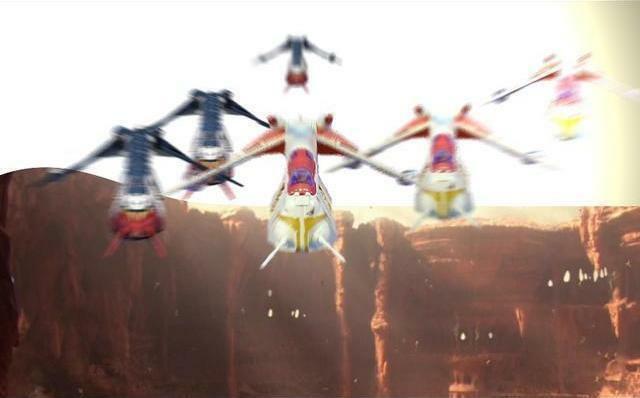 The gunships flew out of the arena, but not fully from the enemy. 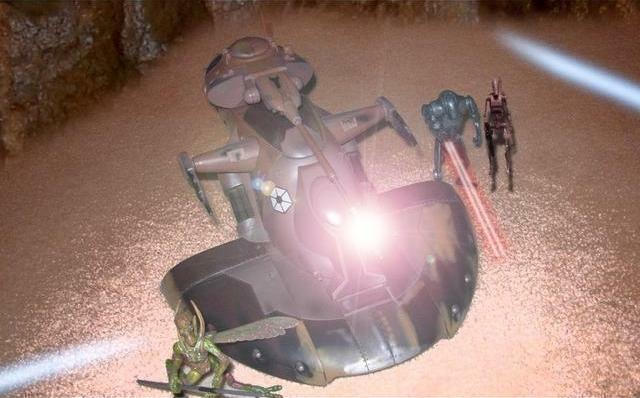 In a battle on the plains of Geonosis, battle droids fired from the defense of AATs. 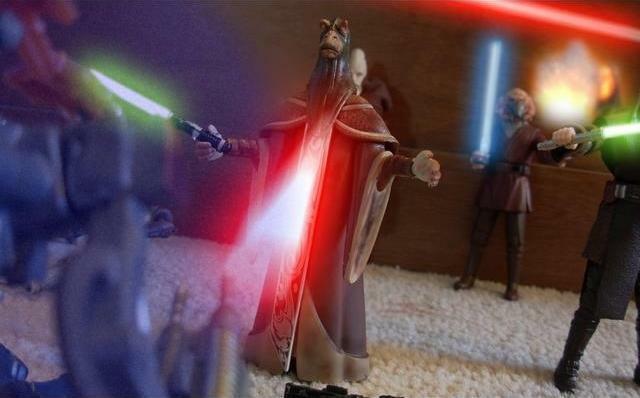 But the thousands of clones were not easily challenged. 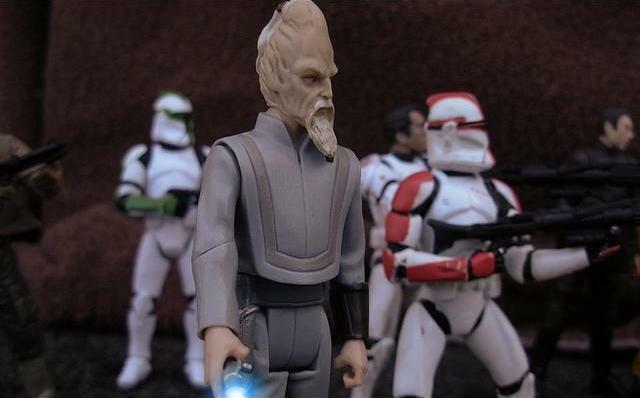 Geonosian Archduke Poggle the Lesser led Count Dooku and the other Separatist Leaders into the Geonosis commander center, where Geonosian soldiers could monitor and direct the expanding battle. 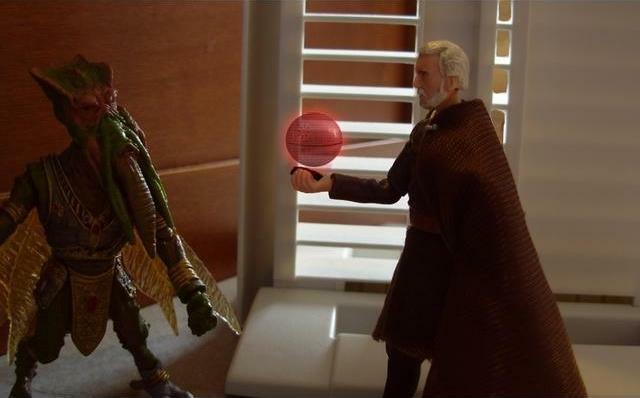 Count Dooku then took a cartridge from the Geonosian Archduke and played it, showing a planet-sized weapon. 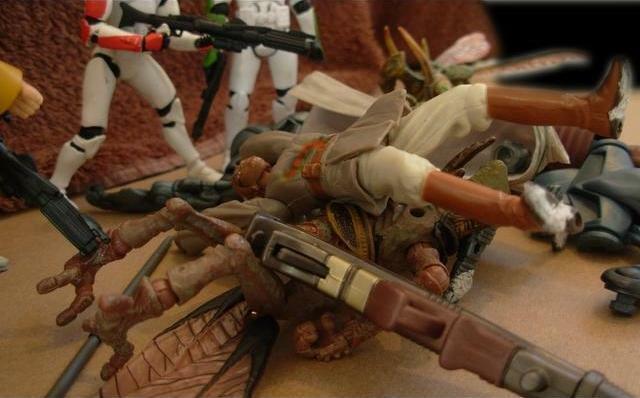 Later, when the Peace Keeper gunship landed in the catacombs of Geonosis, the passengers attacked immediately. 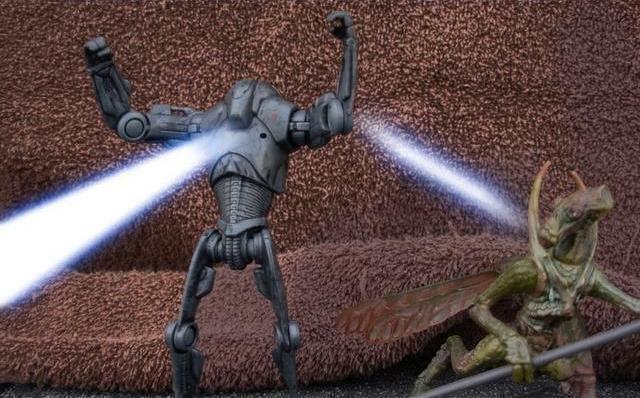 Just quickly, Tarisian spotted a Republic Commando, unit RC-1262, but a Geonosian was a few seconds away from stabbing him in the back. 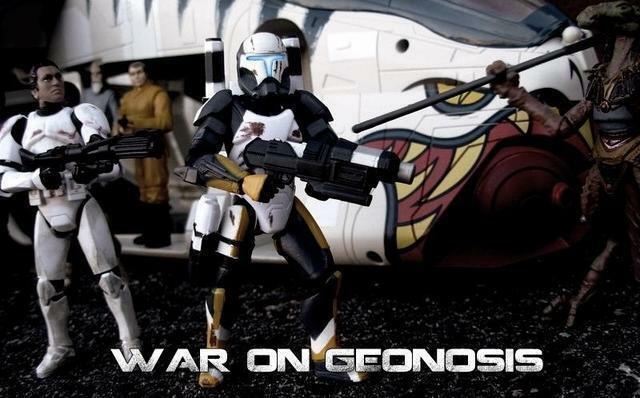 Realizing the Commandos’ importance to the Republic, he took aim and blasted the Geonosian. 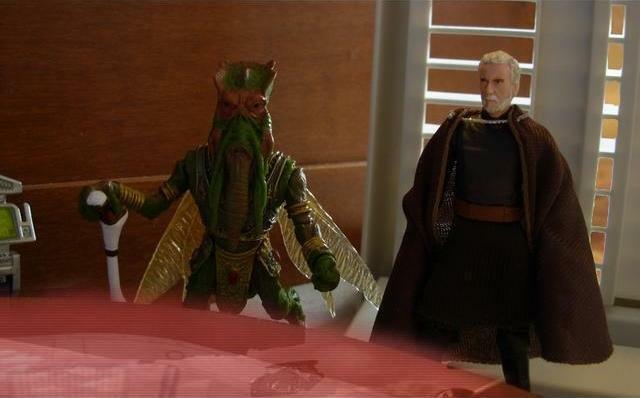 As they did so, they found a Neimoidian, alone, handling a computer. 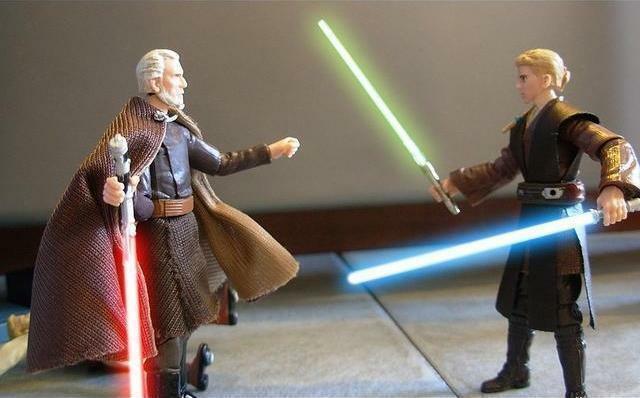 In a Geonosian Hangar, Jedi Obi-Wan Kenobi and Anakin Skywalker had tried to stop Count Dooku from escaping, but it had turned into a fight. 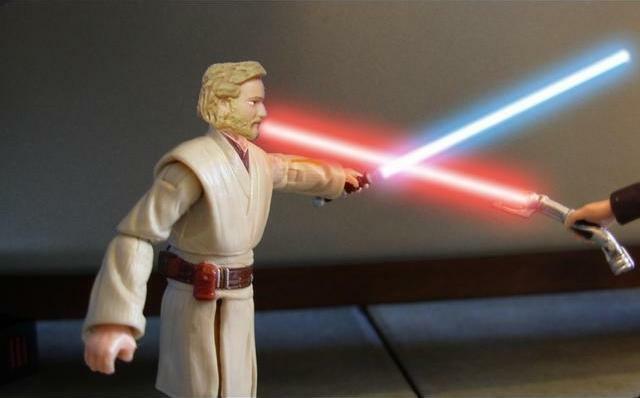 “You will have to prove it,” Obi-Wan answered. 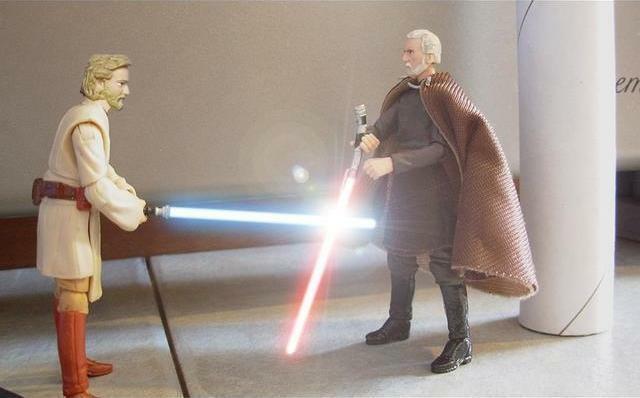 A parry against Dooku’s attacking strike brought Obi-Wan’s lightsaber so close to his face that he felt its heat burning him. 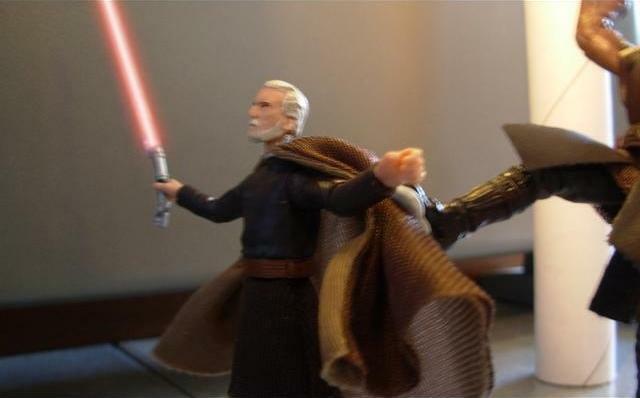 Then Dooku swung his sword and cut Obi-Wan’s left shoulder, ending the duel. 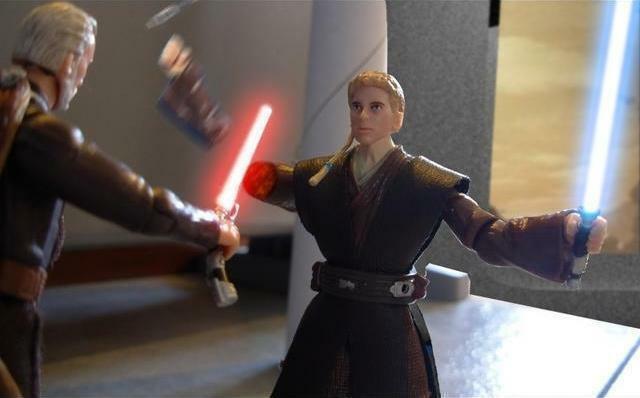 “I am a slow learner,” replied Anakin, using the Force to pull his injured Master’s lightsaber into one of his hands. 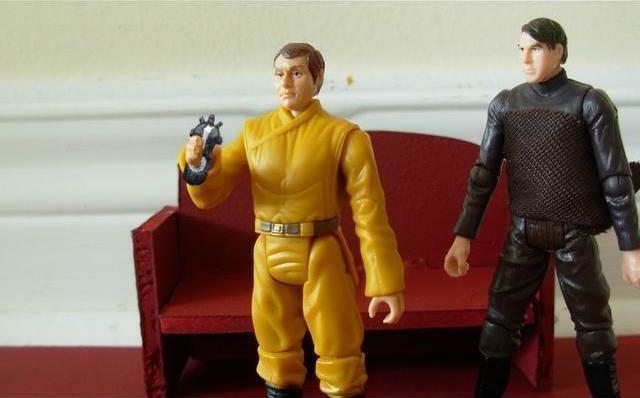 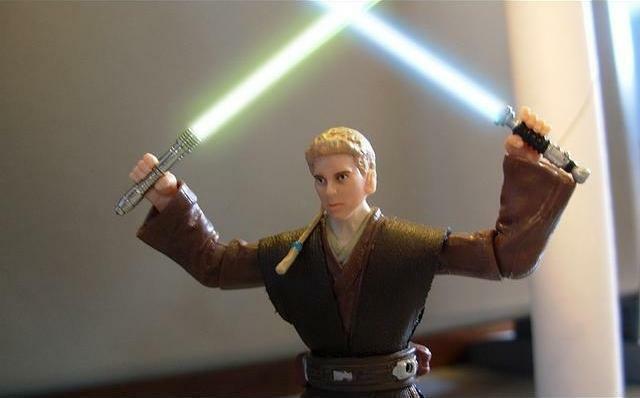 Anakin Skywalker swung both lightsabers so fast that it seemed he was consumed by their colour. 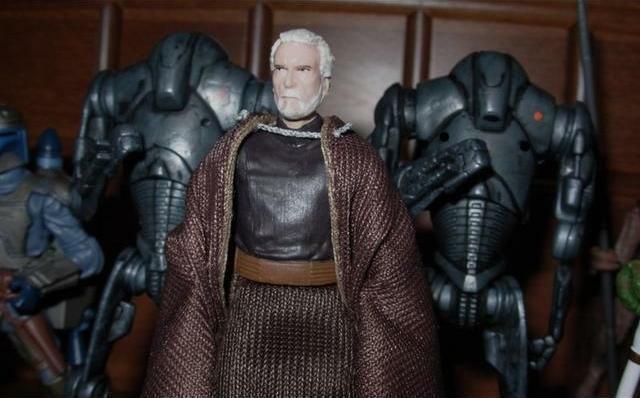 For the first time, Dooku lost his calm smile, and decided it would be wise not to toy with him as much as he had Kenobi. 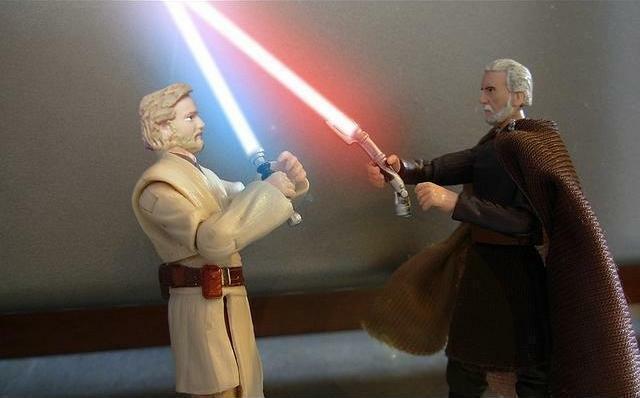 They assailed each other and parried their attacks for a long time, and then finally the former Jedi decided that the duel should end. 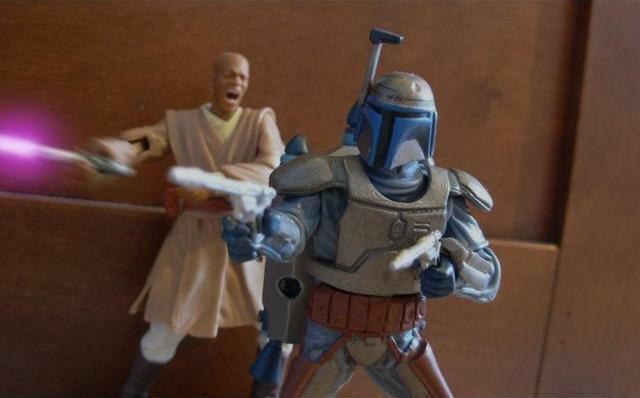 He decided to take the young Padawan’s right arm. 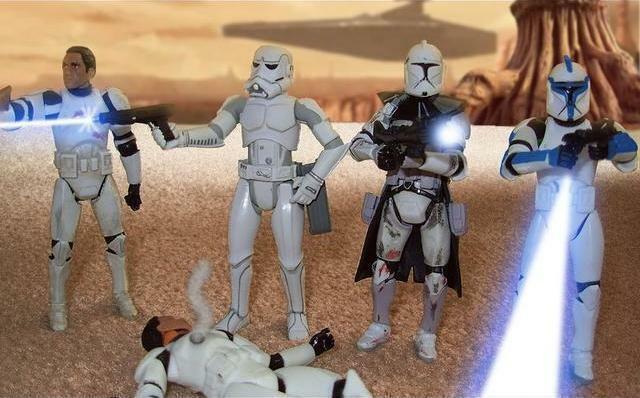 Back underground, the Clone Troopers and Peace Keepers found a grave sign that seemed to prove they were too late to stop the evacuations. 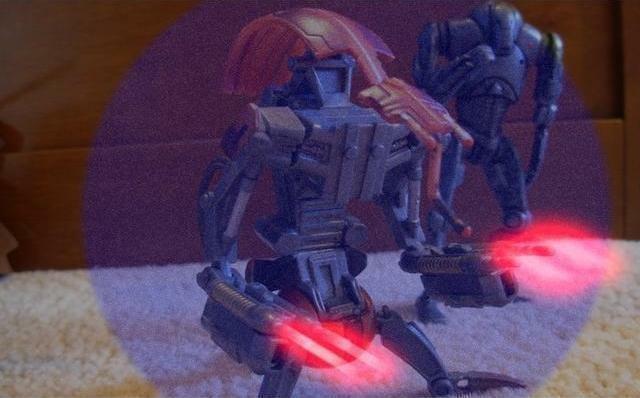 Tarisian Drewton sat down and sighed. 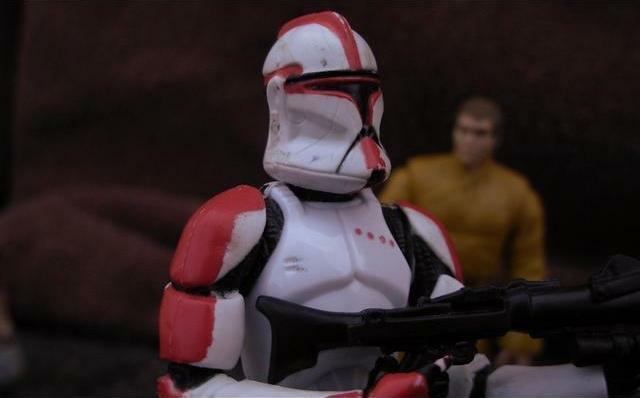 Many of the Peace Keepers were very likely killed in the battle; he didn’t even know whether the security group would exist or not now with a war on. 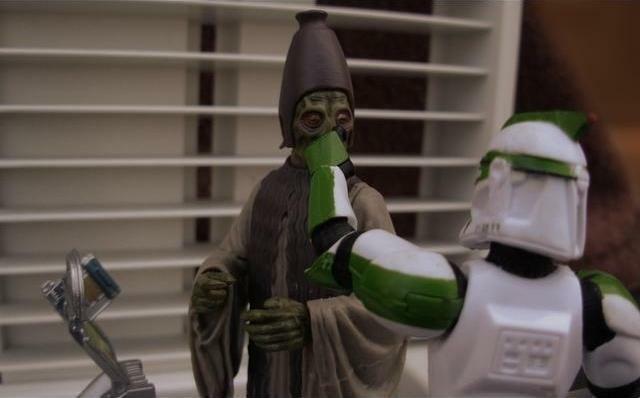 Hundreds of Jedi had died, and the Separatist Leaders had been reported to have gotten away. 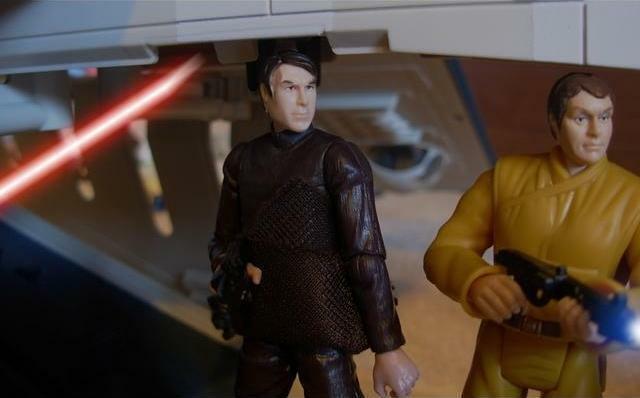 So this was the cost of victory. 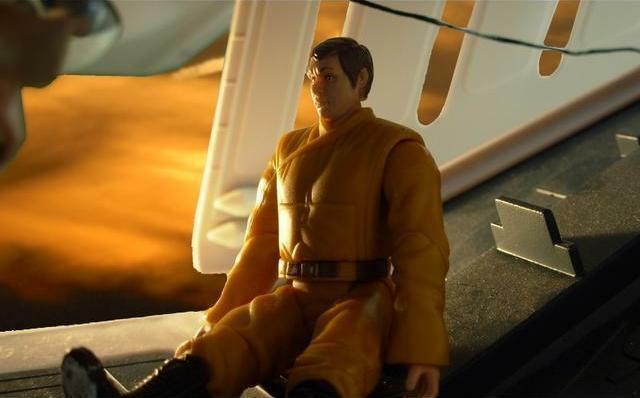 He wondered how much defeat might feel. 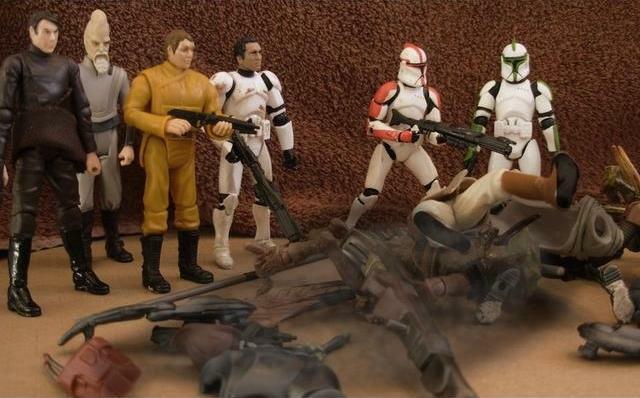 The Clone War had begun.